Pfizer’s courtship of AstraZeneca looks like a hate-hate relationship. 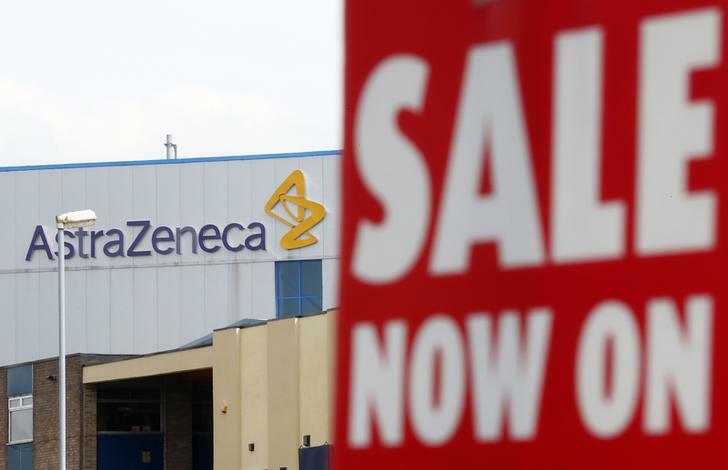 In January, UK pharmaceuticals group AstraZeneca viewed its U.S. larger rival’s proposal of 46.61 pounds a share as too low on cash, too risky, and too cheap to even talk about. Pfizer’s latest proposal, an attempt to get Astra to begin friendly talks, hasn’t moved the needle much. The U.S. company is now offering 50 pounds per share, 32 percent of which is in cash. Pfizer needs to find the right mix of cash and shares that allows it to preserve the tax benefits of relocating to the UK – which would require a minimum of 20 percent UK ownership of the combined group – whilst not diluting itself too heavily with the share component of the bid. The latest proposal would leave the UK ownership at 27 percent of the combined company, so there’s still room to up the cash. The new price represents a mere 7 percent increase on the original offer – not a significant bump. True, it values Astra at a whopping 20 times forward earnings estimates, double the multiple it traded at a year ago. Yet it looks cheap to those shareholders who see Astra’s turnaround as well advanced, and its potential cancer immunotherapy pipeline as a blockbuster in waiting. Citigroup estimates that Astra could be worth 49 pounds per share on a standalone basis. Pfizer’s share of the synergies and tax benefits could be worth nearly 12 pounds a share, according to Berenberg. Some investors, who piled into the stock for its high income, will see 50 pounds as an unexpected windfall. But others will be antagonised. Astra’s board seems to be listening to them, and has rejected the offer. Pfizer’s Scottish Chief Executive Ian Read seems to be having a little more luck in the second leg of his UK charm offensive, an attempt to get the government on side. Read said he would complete a research centre in Cambridge, retain a manufacturing plant in Macclesfield and keep 20 percent of the group’s research jobs in the country. Science Minister David Willetts gushed that Pfizer “has come a long way.” Maybe someone should tell him that a five-year commitment, with few details, doesn’t amount to much. The stock price of 48 pounds a share is still implying perhaps an 80 percent chance of a bid at 52. It looks like Read will have to further loosen the purse strings. AstraZeneca on May 2 rejected a “possible offer” by U.S. rival Pfizer totalling $106 billion in shares and cash. The proposed offer would value AstraZeneca at 50 pounds per share, comprising 1,598 pence in cash. The proposal represents a 39 percent premium to AstraZeneca’s Jan. 4 price, the day before Pfizer’s first approach to the company, and a 7 percent premium to that proposal.